CREATIVE SPIRITS is a network of nine European cities, funded by the European Union in the frame of the URBACT III Programme. The nine CREATIVE SPIRITS partner cities have a common need to improve the implementation of their existing integrated urban strategies/action plans by including novel approaches linked to creative and cultural industries (CCI) – creative places, people and businesses. The joint policy challenge for the network is to better facilitate the “creative ecosystem” to be able to attract (more) creative entrepreneurs and boost creative entrepreneurship in dedicated urban areas. The objectives of CREATIVE SPIRITS partners are focused on exchanging practices and ideas on how they could implement their “creative” strategies more successfully. The general implementation challenges defined by the URBACT programme will serve as a perfect basis for joint learning and knowledge transfer. In the Baseline Study and during the discussions held in the framework of the City Visits, these general challenges are connected to more specific challenges which are typical of the creative sector. These specific challenges have also been intensively discussed during the kick-off meeting of the project. They are strongly inspired by the findings in some relevant case studies from creative projects implemented in several European cities. Though, each CREATIVE SPIRITS partner city has an integrated strategy or action plans, almost all of them face the challenge to turn these rather general strategies into operational action plans. Many partners are faced with the fact that as the environment of the urban development is constantly and quickly changing, the strategies can hardly follow them since policy making is generally a rather slow process. Therefore, this challenge can be translated into two main questions. The first one is how a creative development strategy can be translated into an effective action plan using fully integrated working methods and participatory approaches, and the second one is linked to how an already existing (approved) action plan can be updated in order to meet new requirements without losing commitment. It has also been considered as crucial that in order to create an early and firm committment from all stakeholders that they should include smaller (sometimes symbolic) projects which can have an effect in creating points of energy and initiating a snowball effect in the target area. 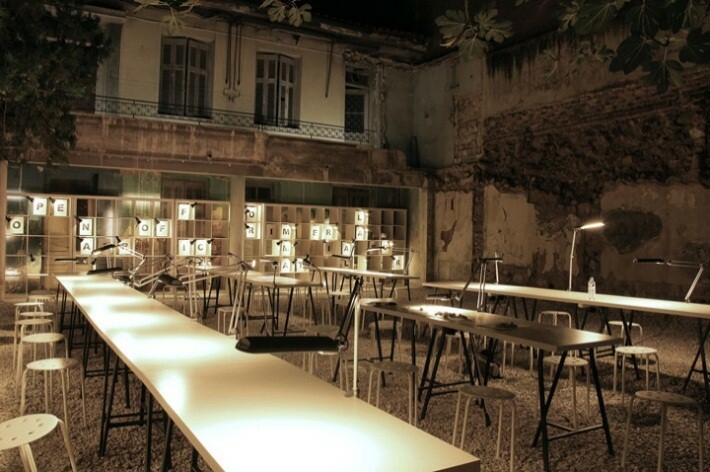 For instance, municipalities can formulate a policy to tackle interim use in vacant places and pay attention to make empty shops or flats in creative locations available below-market prices (see picture of a co-working place for creative in Athens below). Another idea which can easily be implemented is the use of street-art on blank walls to create an outdoor gallery reflecting on the place. It is also in most cases very effective to build in a support model for creatives to build up their own platform which could serve as an inspirational engine for innovative ideas. Learn more about Kerameikos Metaxourgeio which is a deprived area lying close to the frequented inner-city areas of Athens (Greece) having beautiful but dilapidated old housing stock. Currently the district is under regeneration: a young real estate developer (a change-maker) who wants to redevelop the area into a cultural district created an association of people for planning and invited the public to submit their ideas for the future of the district. Another advantage of an integrated style of working is that their will be a sound basis for boosting so called creative spill-overs. This could be very well organised and orchestrated by the establishment of an intermediate agency like it is the case in Rotterdam. They have set up a Creative Commission which has the mission to focus on the added value of CCIs in the Rotterdam economy rather than the sector’s internal growth in terms of revenues or turnover (Creative SpIN Final Report, URBACT, 2015). Also, the development of De Ceuvel in Amsterdam is a very good example of integrating environmental aspects in the implementation of their action plan for giving space to creative sector developments (see the pictures of DeCeuvel below). 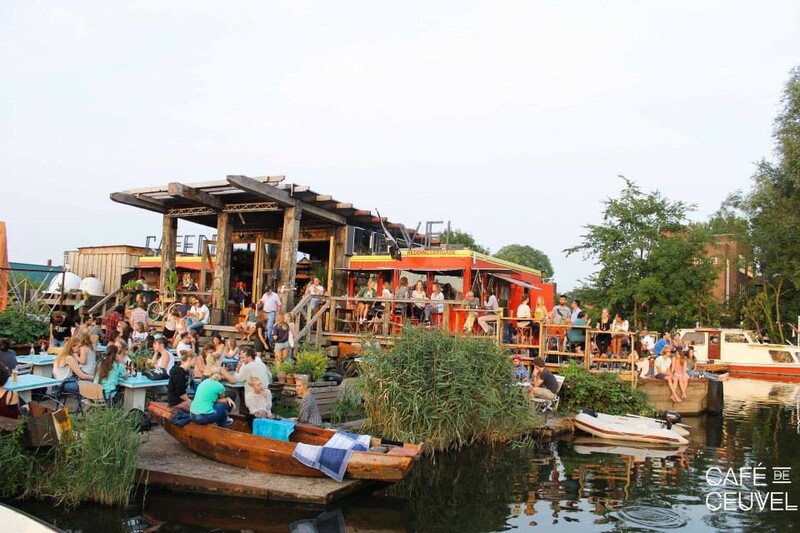 De Ceuvel (Amsterdam, the Netherlands) is a city playground for innovation and creativity, an experiment in which co-creators achieved sustainability in a tangible and integrated way. For a successful and effective implementation process of the creative strategies, the setting up of an indicators & monitoring system is a crucial aspect. Although the strategies and action plans of the CREATIVE SPIRITS partner cities were mostly prepared within EU programming processes (meaning that they include indicator and monitoring systems) measuring performance and success of the creative sector development policies is a rather complicated exercise also due to the lack of an internationally agreed definition of outputs and results . It is a real challenge for CREATIVE SPIRITS partners to deal with this aspect and to jointly define indictors which are well connected to the specific character of the creative sector. The key question in this regard mainly refers to the measurement of soft factors. Creative districts have often been developed as a slower step-by-step process, based on local resources and local demand. In this process, experimentation is a key factor, but how to measure experiments? How to measure CCIs on district or city level as targeted statistics are mainly available on national level. A particularly useful approach to the audit of local cultural-creative assets is the technique known as cultural asset mapping which will certainly be an element to be used while discussing this challenge in the future project meetings. The involvement of local creatives is of course crucial in implementing strategies for the creative sector. All partner cities have a great interest in further developing knowledge and specific skills to develop long-standing, reciprocal partnerships with stakeholders and to mobilise local people. Furthermore, cities need further knowledge on how to identify and make the most of local “catalysts” (the most innovative people) enabling them to act as change-makers on the long-term. Finally, deeper understanding of the importance of co-creation in connection with CCIs is necessary to create entrepreneurial friendly strategies. 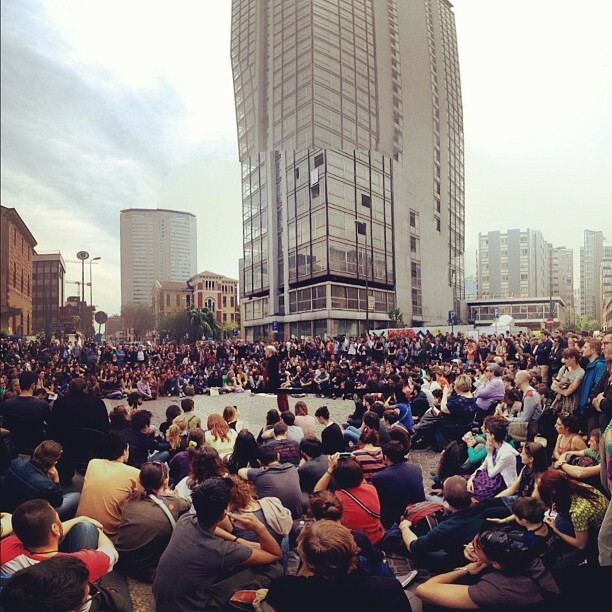 The main stakeholders in creative-based urban strategies must be the creative people (artists, craftsman, designers, makers, architects, culturpreneurs, start-upers, officers from public organisations), but inhabitants, youth, university students, real estate owners/agencies are also important actors. The stakeholder engagement challenge is very particular for the creative sector. Creative people are mostly rather “independent” and they must be approached in a rather individual way. The golden rule is that “invitation is stronger than intervention”. It also means that the municipality should be familiar with the unique interest of the different groups and should “speak their language” (see picture of Macao initiative below). Learn more about how Municipality of Milan engaged creative people in Macao! Instead of project-specific stakeholder grouping, the municipality of Milan created a platform for related co-creating urban policies. The negotiation board - which is not only an attempt to negotiate formally with squatters - is a way to include grassroot organizations directly in urban policymaking. Macao was able to have the negotiation board adopt the legislative tool of “istruttoria pubblica”: through this tool, citizens can directly contribute to policies: they can formulate draft regulations and the city council must discuss and vote on them. CREATIVE SPIRITS partners would like to learn more about innovative funding solutions which are especially applicable for supporting cultural-creative industries. Crowdfunding can be a rather good tool for creative start ups. The public sector could play a role here in support to set up business plans and for “last mile” financial contributions to the crowdfunding campaigns. A good example in this regard is the Creative City Berlin platform which is used as a marketing tool for collecting crowdfunding for specific creative-cultural goals . Also the method of a Social Marketplace can provide an environment in which creative entrepreneurs can find funding solutions. Although this method is used for NGOs, it can be used also for smaller creative entrepreneurs as well (as Creative Marketplace). Similarly, the Social for Impact Bond method can be modified in order to promote local creative-cultural activities creating a Creative-Cultural Impact Bond. Regarding the challenge related to public procurement, the most important issue is that while procurement regulations are mostly intended to ensure accountability and minimize risk, the process leaves little room for experimentation or creative engagement with entrepreneurs. Innovations are needed in procurement to correctly value creative services. Based on the discussion of partner cities, classic Public Private Partnership (PPP) schemes are less relevant with regards to the network’s policy challenge. However a strong cooperation between the real estate sector and the public sector is very important. It would be a task for the city to find and discuss smart solutions on how the real estate sector could be engaged in the process of creating opportunities for creatives to settle themselves in existing (sometimes unused and empty) shops and buildings in the target areas. 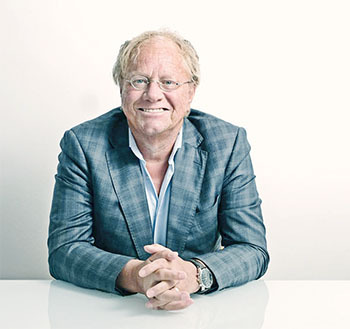 Public/private cooperation can provide networking facilities, like the one in Rotterdam. Rotterdam’s Creative Factory, established in 2008 in an abandoned grain silo, has created a raft of new full-time jobs in one of the most deprived areas of the city and has provided a working space for over 180 small companies over the last five years. The objective of the CREATIVE SPIRITS network is focused on creating an environment in which entrepreneurship in the sector can get a boost by tackling the above described challenges. These are what the partners have in common. The sub-objectives and sub-challenges however will vary, which creates a more precise basis for future knowledge transfer and learning in the implementation phase of the Creative Spirits network. This is the case with the question on which extent the support to creative entrepreneurs should be based and should contribute to the rehabilitation of deprived areas and to social cohesion in these areas. Discussing common CREATIVE SPIRITS goals to be implemented in different cultural and governmental settings and by including local people strongly contributes to a better understanding of the value of EU cooperation.